De-cluttering and purging have become all the rage among many people since the release of a book titled The Life-Changing Magic of Tidying Up: The Japanese Art of Decluttering and Organizing. The author, Japanese organizing consultant Maria Kondo, urges readers to ask themselves whether or not every item they own “sparks joy.” If it doesn’t, she says you should throw it away. You can apply the same concept to your business by looking critically at everything your business does and asking yourself whether or not it has outlived its usefulness. If it has and no longer adds any value, then you should get rid of it. Management guru Peter Drucker introduced this concept many years ago, calling it purposeful abandonment. "The first step in a growth policy is not to decide where and how to grow," he stated in an interview in 2003. "It is to decide what to abandon. In order to grow, a business must have a systematic policy to get rid of the outgrown, the obsolete, the unproductive." If your goal is to grow your business, this might sound counterintuitive. After all, how are you going to grow by ditching product lines or market segments? But Drucker points out that spending time on activities that aren’t generating a positive return on investment wastes valuable resources that could instead be diverted to other activities that have a better chance of producing positive results. Some of the highest profile CEOs of the past half-century have successfully put the concept of purposeful abandonment into practice. For example, Jack Welsh was well-known for getting out of any business where General Electric wasn’t first or second. And when he retook the helm of Apple in 1997, one of the first things Steve Jobs did was start eliminating products. When Apple rolled out the iPhone in 2007, he wasn’t concerned about cannibalizing sales of the iPod, which was Apple’s most profitable product at the time. The phenomenal success of Apple over the past two decades is a testament to the power of purposeful abandonment. Contrast this with Sony, where management regularly shot down new product ideas that would compete with existing successful products. Today, instead of visiting the Sony Showroom to check out the latest new technology toys, people flock to the Apple Store. It’s easy to look at this Apple vs. Sony comparison and criticize Sony for its short-sightedness. But there’s a reason why so many businesses adopt the Sony mentality of not purging old (even successful) products — because it’s hard. It’s natural for businesses to cling to products and services that have led to past success and try to squeeze every last drop of revenue and profits out of them. However, visionary business owners and CEOs are able to look past their current circumstances and make decisions based on what will be best for the company in the future — even if it means purging the business of product or service lines that might still be successful, but offer limited future potential. § What 3 Ps cause frustration, waste time, drain energy and produce small returns? § What pet projects are sucking away valuable resources that could be diverted to other projects that offer a higher potential return? § What regular meetings are being held that could be eliminated or scaled back? § What kinds of paperwork and reports are being generated that could be eliminated or replaced with other, more efficient kinds of communication? § Could be outsourced at a reasonable cost. 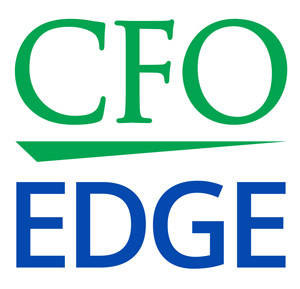 An outsourced CFO services provider can assist in your purposeful abandonment efforts. This professional can help you identify products, services, policies, processes and procedures that you’ve outgrown or are obsolete or unproductive. Doing so will free up resources to focus on areas and activities that are more likely to lead to long-term business growth. Like the de-cluttering craze that was launched by a wildly popular book, the principle of purposeful abandonment can help businesses get rid of products, services and activities that have outlived their usefulness. Doing so can lead to growth by removing things that are wasting valuable resources that could then be diverted to other areas that have a better chance of producing positive results. An outsourced CFO services provider can help you in your efforts to “de-clutter” your business.